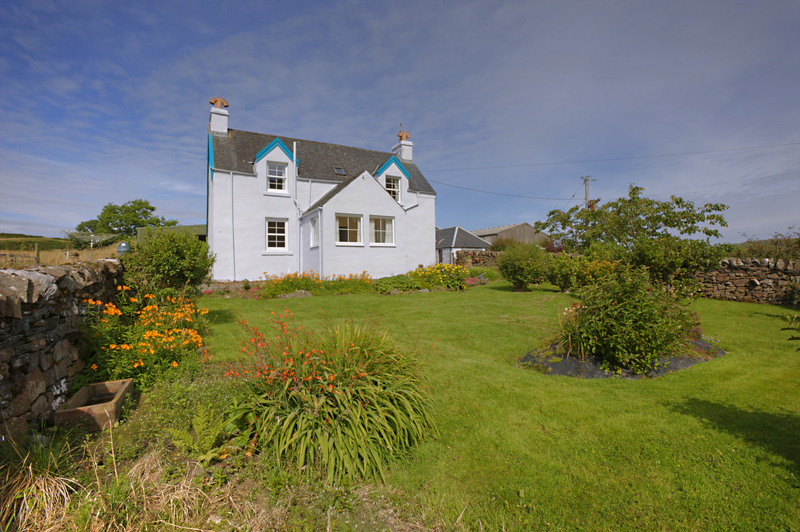 House-hunters seeking a tranquil country lifestyle surrounded by stunning coastal scenery and sea front views may find their dream home in Ardshellach Farm, now on the market. 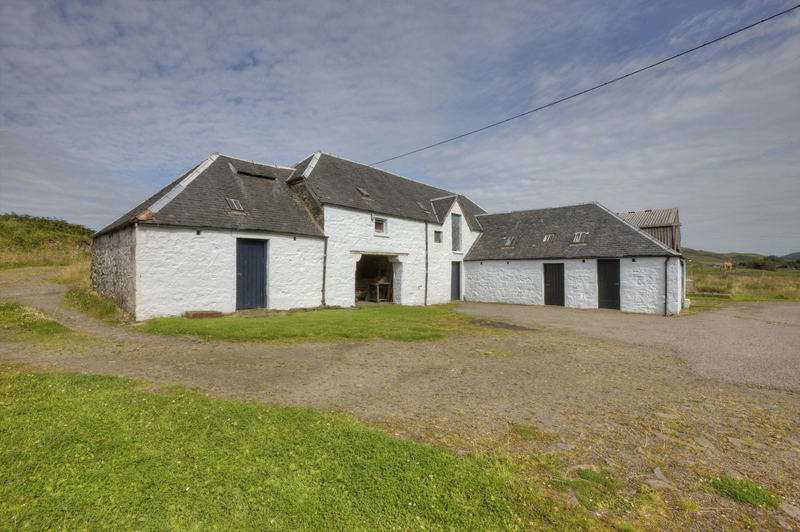 Available as a whole or in two lots, Ardshellach Farm offers purchasers the opportunity to either acquire the entire farm including the farm house and outbuildings, or the farmhouse and buildings plus 2.8 acres of amenity land. The farm offers a rare opportunity to create a boutique farming operation, whether that be traditional or organic and to develop the steadings to create outstanding holiday accommodation. The property offers the best of both worlds boasting a peaceful location which guarantees privacy, while its location between the settlements of Clachan Seil and Kilninver and only 12 miles to the south of Oban, provides the perfect mix of both urban and rural facilities. Ardshellach Farm, along with 98 acres and 1 kilometre of sea frontage, is on the market with Oban based Chartered Surveyors, Land and Estate Agents Bell Ingram, for a guide price of £395,000 as a whole or in two lots. A closing date has now been set for noon on 9 October. According to the review online, there is something nearby for everyone to enjoy, from vibrant and thriving communities to delightful country pubs and excellent fishing spots. Paul Nicoll, of Bell Ingram in Oban, said: “Ardshellach Farm is a stunning property that would be the perfect purchase for city dwellers who are keen to swap the daily commotion for a rewarding country lifestyle. “The farmhouse is typical of its period, of an attractive vernacular design with expansive views over the surrounding countryside and towards the sea. Ardshellach lies within an area that is popular with tourists, due to the stunning coastal scenery and the numerous opportunities that are available to enjoy the sea. The farm has extensive sea frontage and there would be the possibility of laying a mooring within the sheltered Seil Sound to fully capitalise upon the amenity offered by the farm. The property is laid out over two floors and compromises an attractive Sun Room that leads onto the sitting room, dining room, breakfast room, kitchen and first bedroom with two further bedrooms and family bathroom on the first floor. The formal gardens lie to the south east of the property and are most attractive. They are enclosed by a dry stone wall that provides exceptional shelter for plants to grow. Viewings are strictly by appointment only and can be arranged through Bell Ingram’s Oban office on 01631 566122. Established 112 years ago, Bell Ingram has 130 professional staff across 11 UK offices, including chartered surveyors, estate and forestry managers, architects, building surveyors, tourism and green energy specialists. CAN OUR PR AGENCY IN EDINBURGH HELP YOU? Discover what our award-winning public relations can do for your business. If you or your company need some help to get the word out there then we’d love to hear from you.